1. Decaf coffee SHOULD be more expensive than regular coffee just because of the mileage it has racked up in the process of getting from the farm to you. There are roughly three places in the world where the decaffeination process happens (British Colombia, Mexico, and Germany), so your beans have to go there first. That adds cost even without the processing. 2. Because of the logistics and mass marketers’ desire to charge the same amount for decaf as regular coffee, the only variable left to manipulate is the cost of the coffee chosen for decaf. That’s why the usual decaf lots are of substantially lower quality than other non-decaf coffee. 3. It is an axiom that coffee quality cannot improve from what goes into the decaf process. If you put lower quality beans in, you get lower quality beans out. Even worse, the decaffeination process tends to wash out the intensity of the flavors in even the best quality beans, so we are talking an attempt to hold onto quality, not improve it. This will only change when botanical science develops a cultivar of arabica that naturally does not have caffeine. We aren’t there yet. 1. 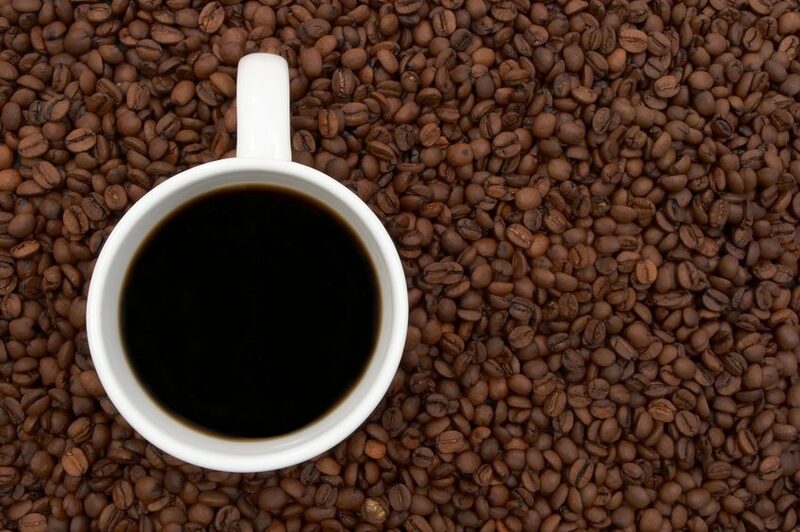 Follow our general guidelines for brewing good coffee. You will be shocked (in a good way) at how using clean equipment, having water the right temperature of >200F, and grinding the right size will improve the taste in the cup! 2. Decaf, as noted earlier, is somewhat “washed out” in the decaf process. That means that two lots of the same beans–one decaf and one regular–will have significant differences in flavor intensity. The other characteristics of the coffee (complexity, sweetness, finish, etc.) will be largely the same. The goal, then, is to enhance the intensity of flavors. To get that intensity back, you must a) use enough ground coffee, and b) use the full steeping time. a. Using enough coffee. Decaf will take more coffee than regular. Start with around 13 g. per 5 oz cup or a heaping scoop if you normally use 10-11 g or a flat scoop. Experiment until you find your sweet spot. Please note that every coffee decaffeinates differently–more delicate flavor profile coffees will take even more ground coffee to provide the flavor intensity you want. Bottom line: When in doubt, don’t skimp. You can always add hot water if it’s too strong. b. Using enough brewing time. We normally advise 4 minutes of contact time for coffee grounds and water just off the boil in order to reach coffee Nirvana. You might have to add a minute to coax all the goodness from your decaf. Whatever you do, though, don’t let the grounds spend so much time with the water that bitterness arises. Coffee liquid should always leave while it and the grounds still like each other. I believe that following these simple rules will revolutionize the way you view decaf. If your coffee isn’t intense enough for you and you aren’t swearing off caffeine for health reasons, however, you may want to think about lower-caf coffee. (Our Lighter-Caf blends are generally half the caffeine with very little loss of intensity.) If you find that you have other suggestions, please comment. Meanwhile, enjoy your coffee!